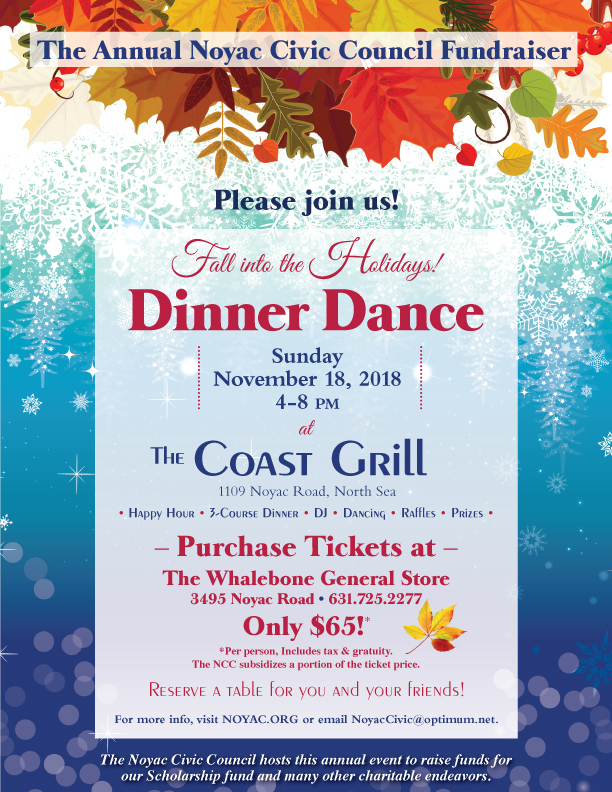 Join us to celebrate the holiday season while helping raise funds for the NCC Scholarship and local charities. The evening’s raffles include a 4-some for Golf at The Bridge and tickets for a Luxury Suite at a L.I. Ducks game! The Holiday Dinner Dance is the major fundraiser for the NCC Scholarship fund. Our scholarship recipients have had many outstanding accomplishments. We are very proud of them! 4-5:30 pm Happy Hour – Drinks offered at discounted pricing. 5:30-8 pm – Drinks offered at regular pricing.